The Last Update - 2018.05.06. INTRAPARTUM CARE FOR A POSITIVE CHILDBIRTH EXPERIENCE.(2018.05.06). THE BIRTH TRAUMA: AN OPPORTUNITY OR INEVITABILITY? (2018.02.17). Edited by Prof. Grigori I. Brekhman and Prof. Peter G. Fedor-Freybergh. ON BIOPHYSICAL ENERGY-INFORMATIONAL NATURE OF ACUPUNCTURE SYSTEM, CONSCIOUSNESS AND VITAL ENERGY . (2016.02.03). MODERN PREREQUISITES FOR THE DEVELOPMENT OF THE DOCTRINE OF PSYCHIC TRAUMA (2016.02.03). in the Interdisciplinary Clinical Center (Head - Prof. Rivka Yahav) Haifa University. Author and workshop leader - Prof. Grigori Brekhman, M.D., Ph.D., D.Sc. (2015.12.26). Prerequisites for the development of the doctrine of psychological trauma. Abstracts of the report on the Congresses in Belgrade 06.15.2015. (2015.06.26). 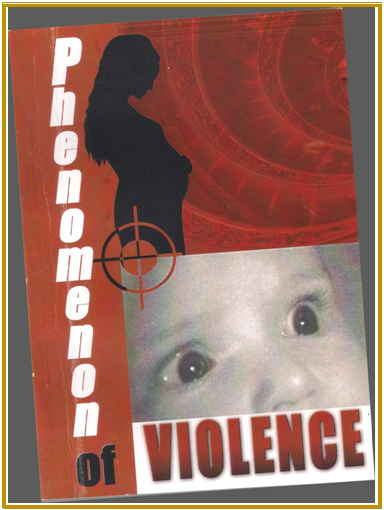 1st International Congress on Psychological Trauma: Prenatal, Perinatal & Postnatal Aspects (PTPPPA 2015). May 15–16, 2015. Belgrade, Serbia. (2015.03.28). Demographics: only quantity or quality as well? Brekhman G., Yahav R., Volchkov Y. Secrets of a person's birth (Part 1). Secrets of a person's birth (Part 2).